August 18, 2018 5:13 pm. Co-trainer Wayne Hawkes says PB Lawrence Stakes winner Showtime will step up to Group One company. 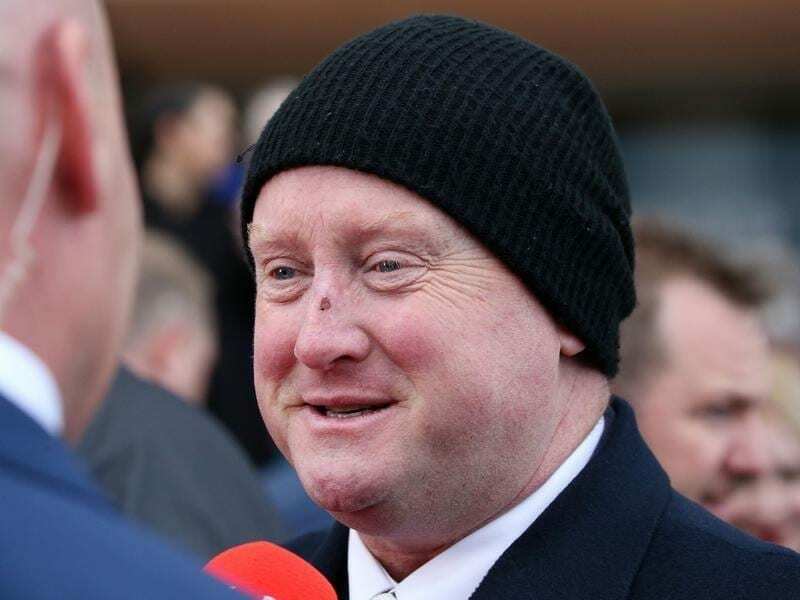 Showtime will chase a Group One win in the Memsie Stakes at Caulfield that his co-trainer hopes will secure a place on the stallion roster of one of Australia’s leading studs. The four-year-old captured a second Group Two win when successful in Saturday’s PB Lawrence Stakes at Caulfield, but a Group One success is what is required to stand at Arrowfield Stud. As part-owner of the four-year-old, Arrowfield Stud stands Showtime’s sire Snitzel, his grandsire Redoute’s Choice and stood his sire Danehill. Wayne Hawkes, who trains in partnership with his father John and brother Michael, said if Showtime can get that Group One victory then there’s every chance he’ll be off to stand at Arrowfield Stud..
“John Messara has had three champion stallions Danehill, Redoute’s Choice and Snitzel stand at stud and now wants a son of Snitzel, so it would be a good effort if he can,” Hawkes said. Ridden by Dwayne Dunn, Showtime, backed from $7 into $6, scored by a long-neck from last year’s winner Hartnell ($9.50) with Widgee Turf ($11) a long-head away third. “He’s won a few races now but that was no doubt his best win,” Hawkes said. “Right from the early stages my father said while he’s got a two-year-old pedigree he always thought he’d be at his best when he was four. “It took us a little bit to get back from Jungle Edge and get away from him,” Dunn said. “He did a good job to overcome that then fight it out in the straight. “At the top of the straight I would have liked to have been to the outside of the winner but we had room to go and weren’t impeded,” Williams said.